The medical research profile is carefully chosen in order to combine clinical and fundamental areas of expertise. There are four biomedical research profiles and three generic research profiles. A biomedical research profile aimes at a specific biomedical theme, while a generic profile has a generic approach and aimes for example at the development of an approach of a certain research area, not related to a specific biomedical theme. 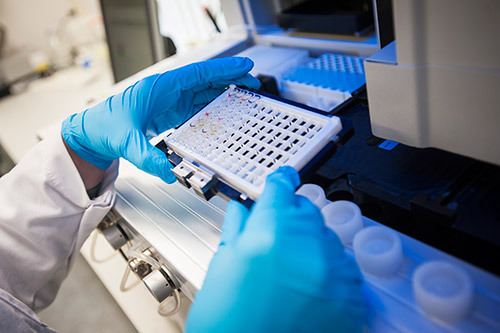 Every research programme within the LUMC is connected/associated with one biomedical research profile and with at most two generic research profiles. Leiden University has selected 11 research profile areas, most of them with a strong multidisciplinary focus. These areas offer ample opportunity for first-class fundamental research, but they are also strongly linked to key issues prevalent in modern national and international societies. The LUMC participates in five research profile areas from Leiden University, in cooperation with the faculties of Science and Social and Behavioural sciences.